Canton, GA (April 25, 2017) – FIELDS is thrilled to announce the company’s sponsorship of NASCAR driver Kevin Harvick for his entries in the K&N Pro Series West at Sonoma Raceway and the NASCAR XFINITY Series at Watkins Glen International. Harvick’s June 24 NASCAR K&N Pro Series West entry at Sonoma with Jefferson Pitts Racing marks his 23rd series start. 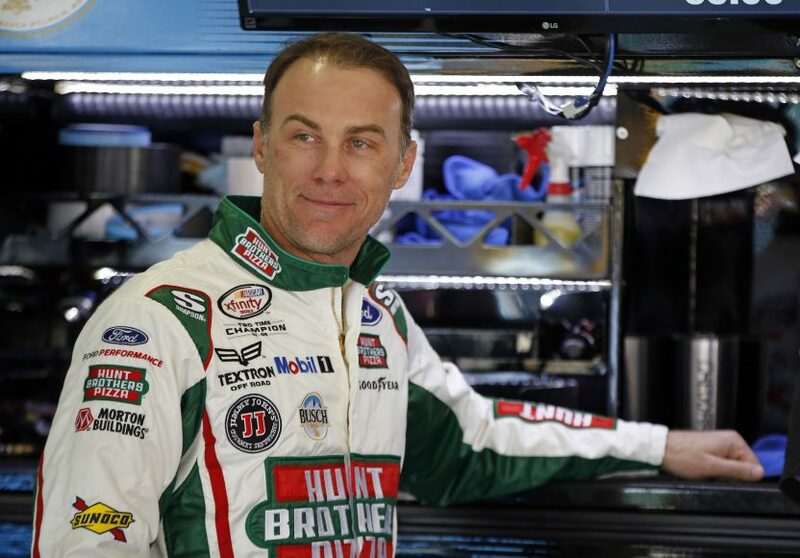 In 22 appearances, Harvick has six wins, 13 top-five and 16 top-10 finishes, in addition to seven pole positions. In 1998, his only full-time K&N Pro Series West season, the Bakersfield, CA native won five of the 14 events he entered. His last series start came at Iowa Speedway in 2007. The Aug. 5 NASCAR XFINITY Series (NXS) race at Watkins Glen International brings Harvick’s NXS total behind the wheel of the No. 41 Stewart-Haas Racing Ford to six in 2017. FIELDS is a partner of the Cal Ripken, Sr. Foundation, with whom the Kevin Harvick Foundation has allied in recent years to build multi-purpose youth development parks for underprivileged children. FIELDS built the Kevin Harvick Foundation Park in both Bakersfield, CA (March 2016) and Greensboro, NC (November 2015) and is currently working with the foundation to construct a third multi-purpose park, named in country artist Jake Owen’s honor, in his hometown of Vero Beach, FL. FIELDS is an award-winning sports general contractor whose projects include both collaborative design efforts with well-known sports architects and design/build projects where FIELDS is the head designer. FIELDS’ work consists of sports field construction (natural grass and synthetic turf), sports lighting, decorative concrete and hardscaping and other features designed to enhance the fan experience. Headed by principals with a combined 100+ years of industry experience, expertise and creativity is applied to every project that’s undertaken. For more information, visit www.Fields-INC.com. KHI Management, LLC. is a full-service and celebrity-marketing agency representing some of the most successful and high-profile professionals in the sports, broadcasting and music industries as well as offering a variety of consulting and marketing services to corporate sponsors. Founded by NASCAR Sprint Cup Series champion Kevin Harvick, KHI Management affords clients the opportunities to expose their brands across multiple sports and entertainment platforms via a singular agency with a vast array of services ranging from career management and media relations to licensing and philanthropy. KHI does not represent or solicit student athletes. For more information on KHI Management, please contact Josh Jones, Director of Business Development at 980.938.8320 or follow on social media at facebook.com/KHIManagement, Instagram at @KHIManagement and Twitter at @KHIManagement.